I went to this fair fully expecting that there wouldn’t be many rides. Last year the fair had a grand total of three ‘big’ rides, the biggest being a Trabant. 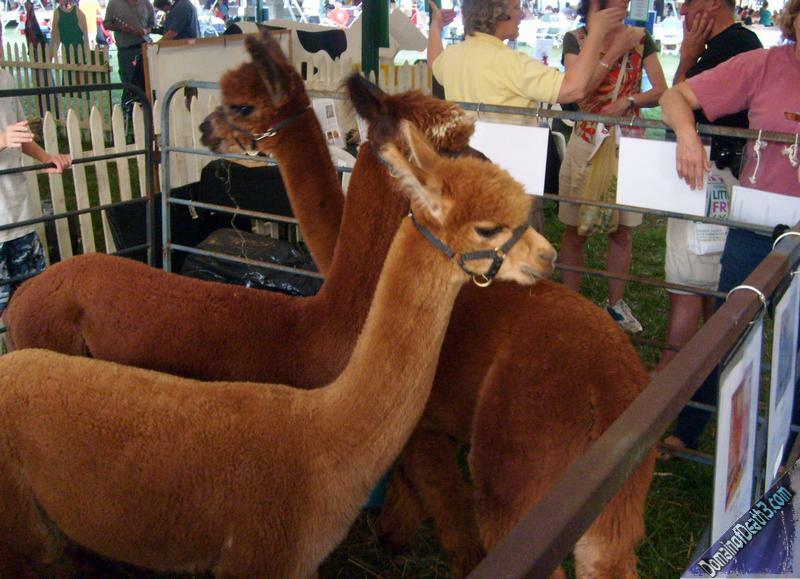 The fair is primarily for 4H activities, but is still kind of fun even for a suburbanite like myself; it’s not everyday you get to see an alpaca you know! Plus I just like the area it’s in…and after all, a fair is a fair. Upon pulling in I gave a $5 donation, got my pamphlet thing, and parked in the parking lot/field. Something that surprised me was that Amusements of America was running the midway. This event was not listed on their site or anything so it may have been some type of impromptu deal. The Trapeze was the big ride I guess; it was a huge upgrade from the Yo-yo present last year (which was in fact at a previous carnival this year.) The Trapeze had many working lights, went pretty swiftly and even had the tilting mechanism working. 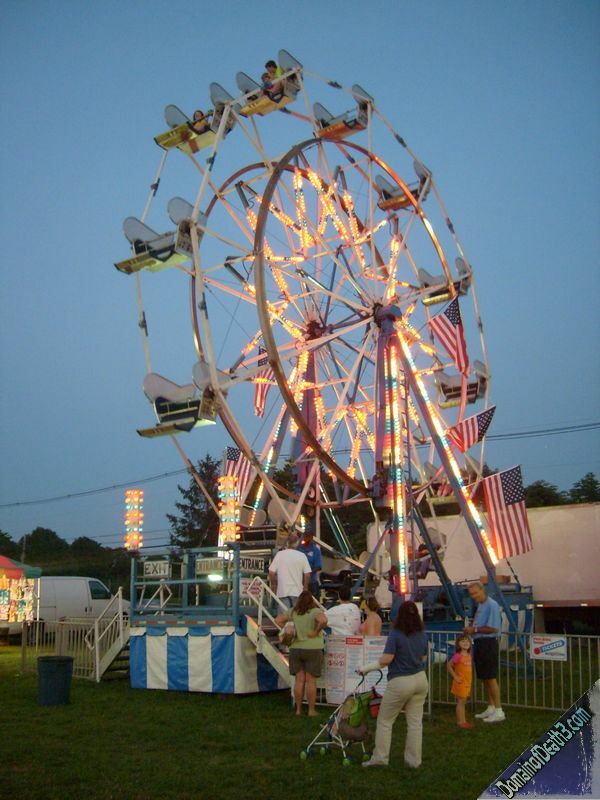 The Ferris Wheel also looked really sweet with a red, white and blue paint/light scheme. While I was snapping photos, I remember trying to get one of the Bumper Cars while in action but for some reason they weren’t starting. The two ride ops tried turning off and then restarting the ride a few times, but to no avail. Finally they just told everyone that the ride was shut down. It was probably only about ten minutes later that I saw it back up and running. Next I took the time to check out the animal tents. 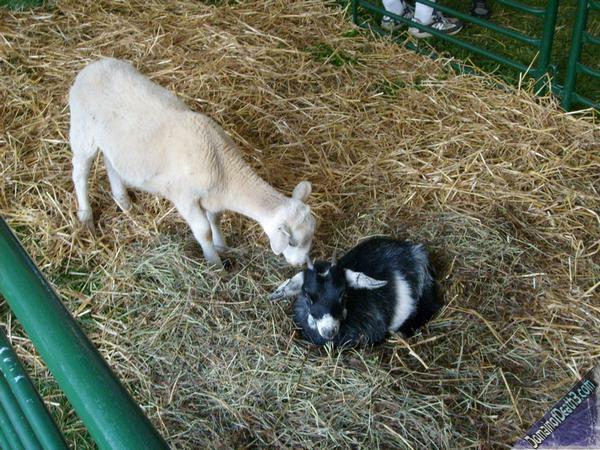 One tent contained many barnyard animals such as goats, alpacas, and a cow. This one kid was trying to pet the alpaca but it kept ducking away. Obviously I was awaiting with camera in hand for the alpaca to spit at him; what a great photo that would have been! Off to the side of the tent were tables with glass tanks holding various reptiles. Another tent had numerous cages with rabbits, chickens, and probably some other animals. Other tents had dog related stuff, horses, food stands, a stage, and of course the arts and crafts. I remember saying in last years Morris 4H trip report that I should have gotten a funnel cake. Well, a year later I did! I munched on it, wafting powdered sugar everywhere as I perused the arts and crafts tent. Most people come into this particular tent to look at local amateur artistry or find something their kid made; I just like to make fun of them. 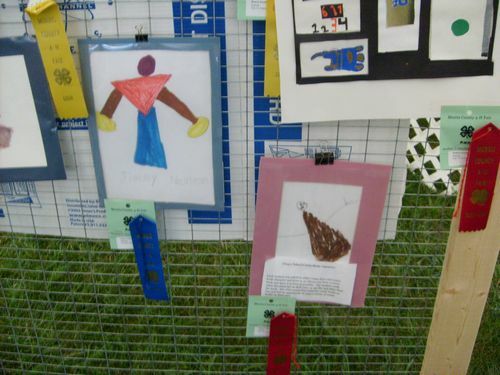 I liked the drawings of stick figures that are scribbled in crayon that received a ‘good’ ribbon. 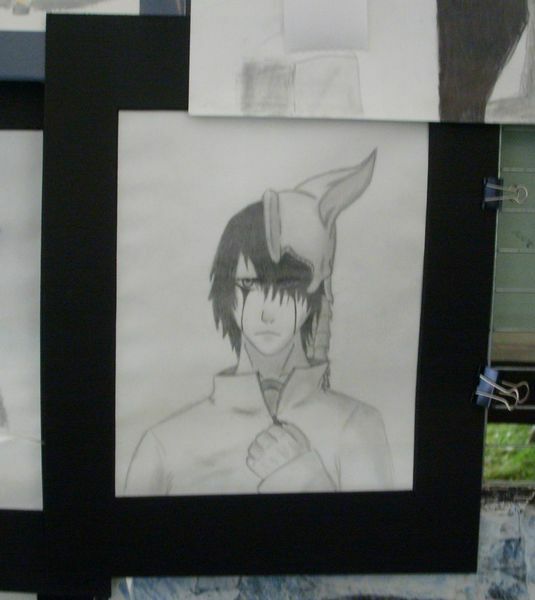 However, I do think that the emo kid should have gotten some type of ribbon for his artwork. One of the exhibits showed off model rockets, one of which was a port-a-potty rocket! That better have one it all! Before leaving, and before finishing my funnel cake, I stopped in to watch the fabulous FrostKings play; nope, I have no idea who they are either! However, they didn’t sound too bad. 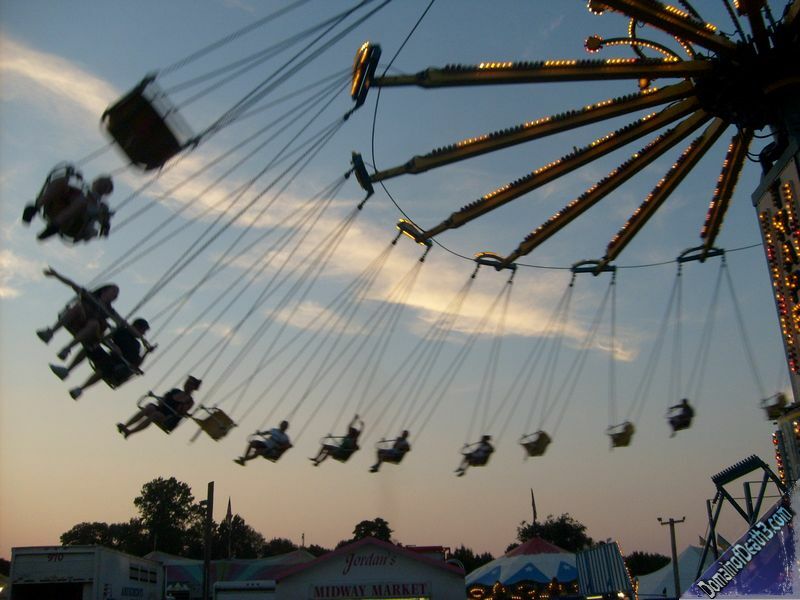 I left the fair at around 8:45pm and had a traffic-less ride back home.